Picking Up Where We Left Off: My Bear Spring Camps Stories. 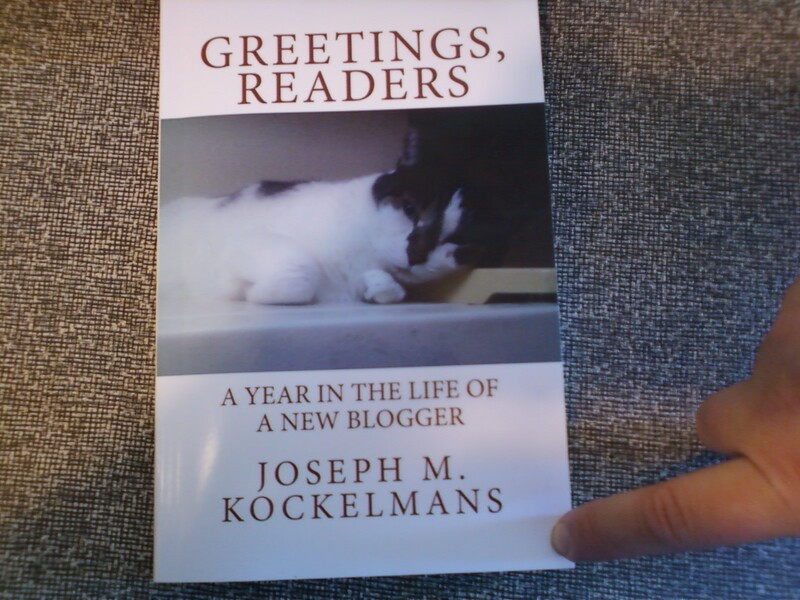 Published July 2011 from CreateSpace.com. Available at Amazon.com, and Amazon Kindle. In State College, PA. the book is temporarily unavailable at Webster’s Bookstore and Cafe. 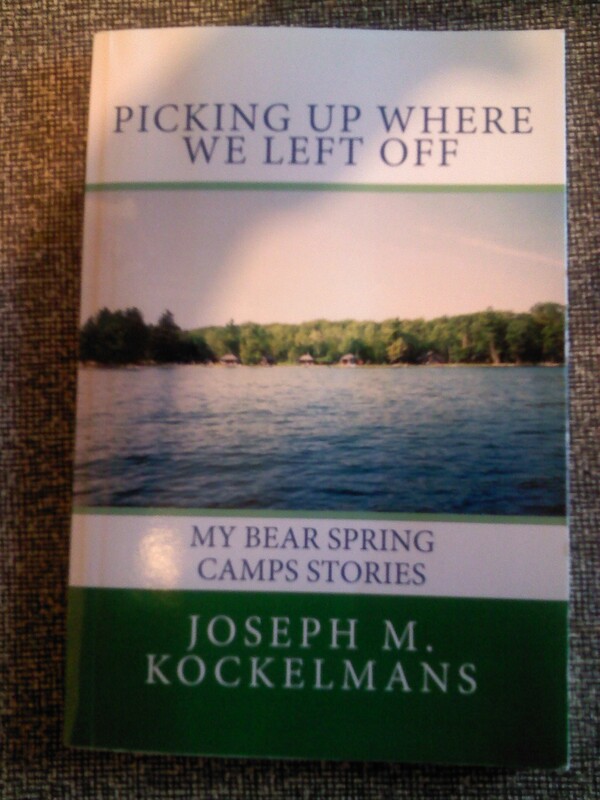 The cover is showing a picture of Great Pond, towards the rustic cabins of Bear Spring Camps. Truly one of my favorite places on Earth. My first book of short stories. 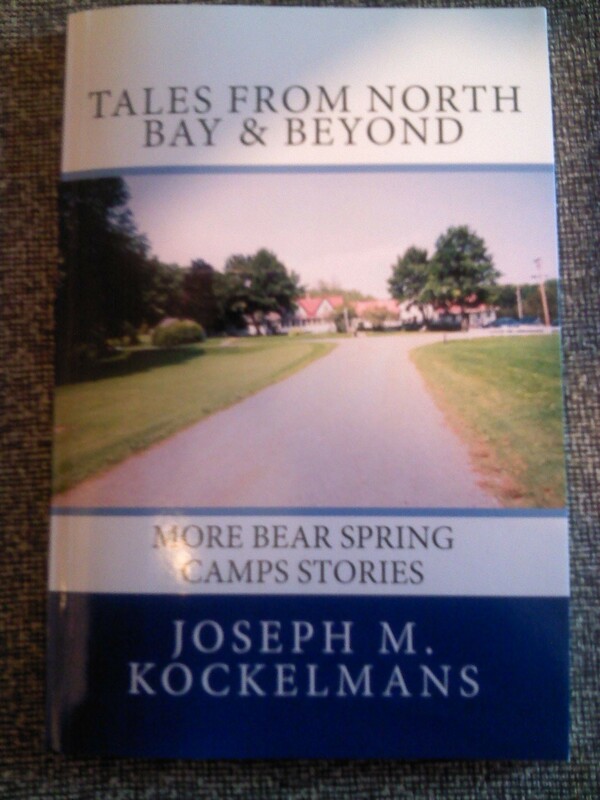 Tales from North Bay & Beyond: More Bear Spring Camps Stories. 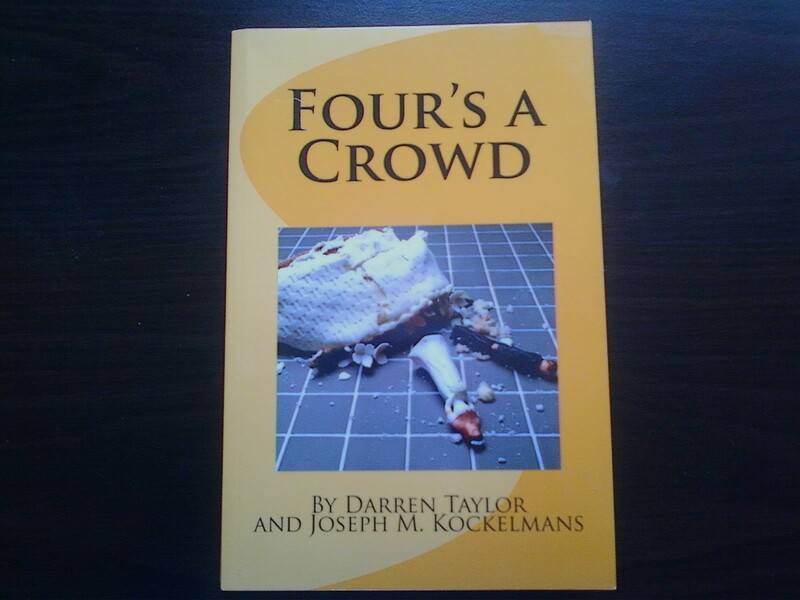 Published June 2012 from CreateSpace.com. Available at Amazon.com and Amazon Kindle. This book is temporarily unavailable in State College, PA. at Webster’s Bookstore and Cafe. The cover shows the main house where the main dining room is as well as the owner’s residence on the left hand side. Many a time I have walked up and down that unpaved road leading from the main house to the cabins. It is truly a magical feeling when you arrive that first day of vacation. My second book of short stories about Maine. Greetings, Readers: A Year in the Life of a New Blogger. Published July 2013 from CreateSpace.com. Available at Amazon.com. In State College, PA. the book is also available at Webster’s Bookstore and Café and at the Schlow Centre Region Library. The cover shows the photo I had as a banner on the blog for a bit of time. It is a photo of my late kitty-cat Keekee whom I miss very much. If I do a second blog book, maybe my new cat, Princess Josie, will get the cover. Four’s a Crowd. Published June 2018 from CreateSpace.com. Available on Amazon.com. In State College, PA. the book is available at Webster’s Bookstore and Café. The author is Darren Taylor, who adapted my play Kimberly, with my collaboration. It is a wonderful story of two generations of the Detmore family trying to live in harmony while dealing with issues of health and the stresses of life.